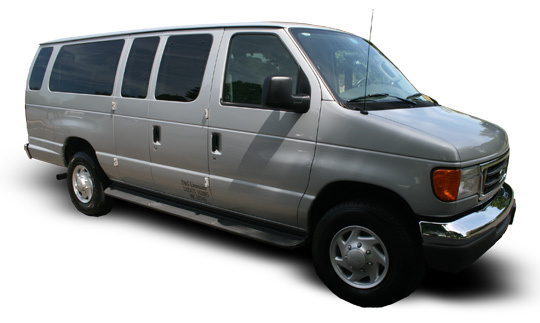 If our party buses are a little more than you need or your budget can handle, our E350 Shuttle van may be the perfect alternative! An affordable option whether you need a car service to the airport, transportation to and from the prom or a no frills option for your bachelor party! Although this limo rental is most commonly used for airport transportation – we have had customers use them for a variety of purposes. For large airport groups, there is also an optional luggage trailer available offering you more space!